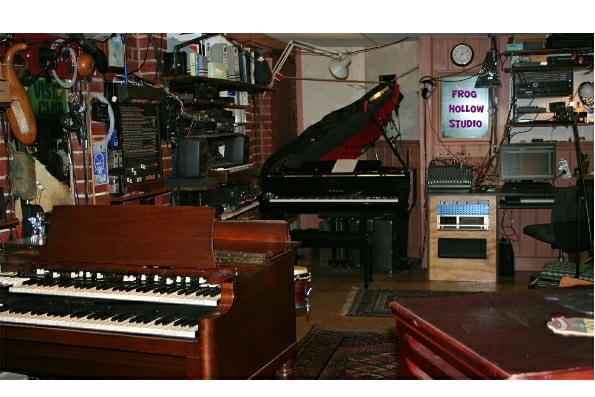 Frog Hollow Studio is an extended rectangular room with 16 track recording capability. The room is suitable for small bands, midi recording and track by track recording to a Win 7 PC hard drive using Cakewalk Sonar X3 Producer software and an RME Soundcard fed by a 20 bit Adat for A/D. Mic preamps are through a Mackie VLZ mixer and a 4 channel Portico 5024 preamp. Individual headphone monitoring is possible and playback monitoring is through Genelecs or JBL 3 way (15″) and Perraux 300W amp which can also serve as a P.A. system for rehearsals. 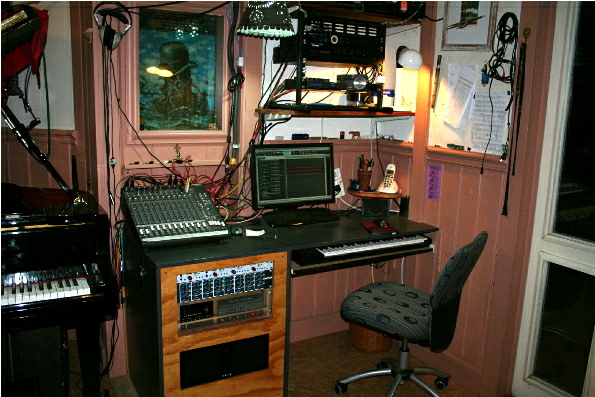 Microphones include AKG C414, 2X Royer 121 Ribbon mics, AT 4033a’s, AT 4041’s, ATM 25, Sure 57 Betas, 57’s and 58’s. 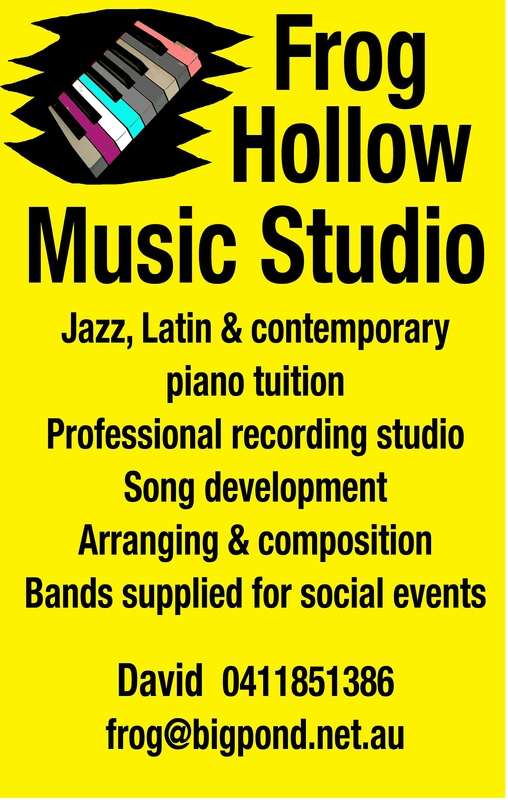 A range of Keyboards are available for use including a Yamaha G3 grand piano, Hammond B3 Organ with 22H Leslie speaker, Hammond SK2 Organ with 860 Leslie Speaker, Fender Rhodes, , Hohner Clavinet, Mini Moog Synth (Midi’d), ARP 2600 Synth, Roland JV 90 Synth. 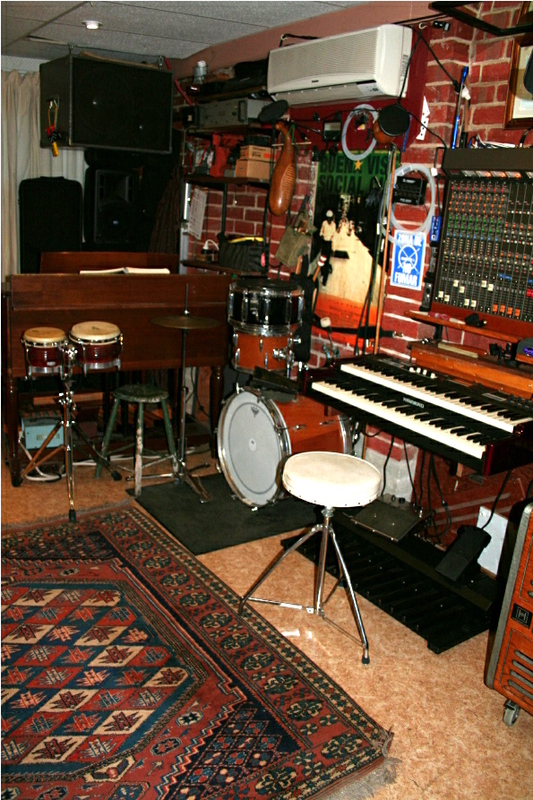 A Drum kit is available as is a collection of sundry percussion instruments. 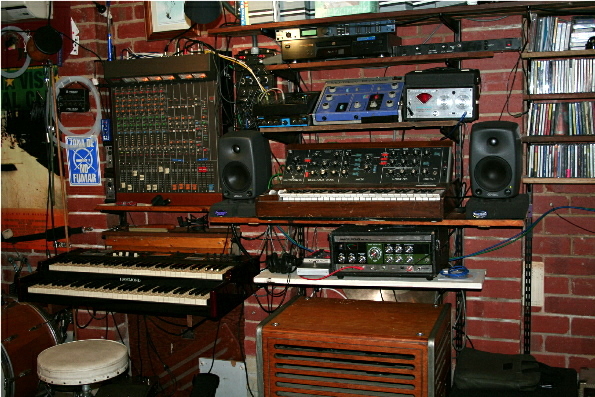 All- in recording in a one- room studio has limitations regarding the spill of instruments. Redoing of parts , while possible, need to be prepared for beforehand with the acoustic instruments. There is heating and air conditioning plus a pleasant courtyard seating area outside. The room sounds quite even with a reflective floor bouncing onto an absorbent ceiling and brick wall bouncing onto wood paneling. The roof and walls are lined with rockwool and cement sheeting. 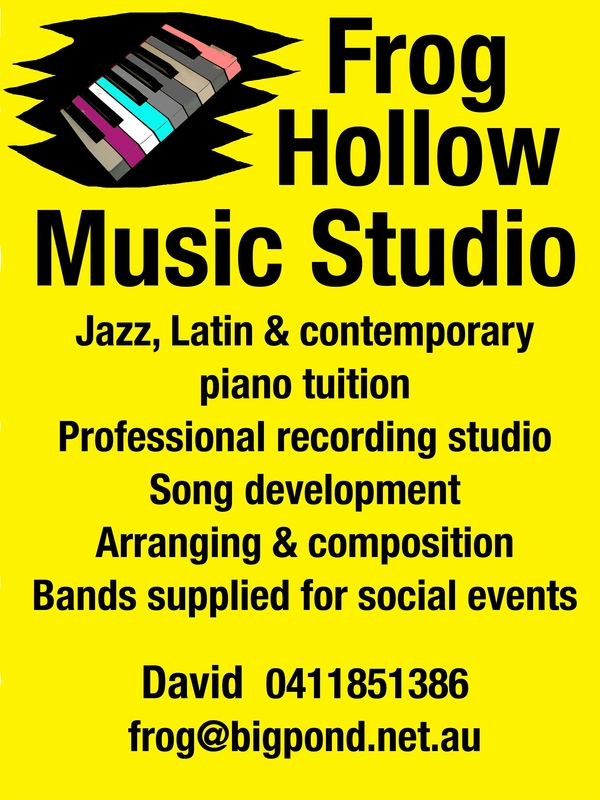 Phone David for more information 0411851386.